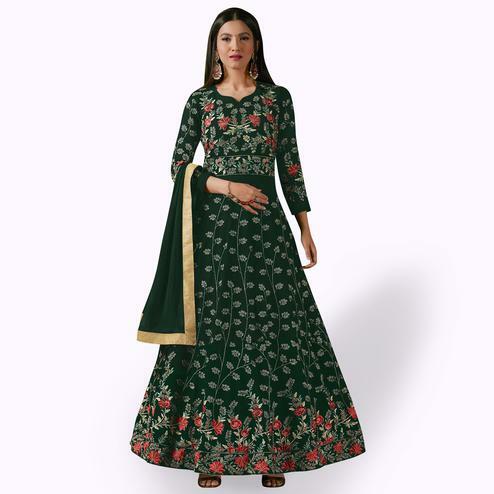 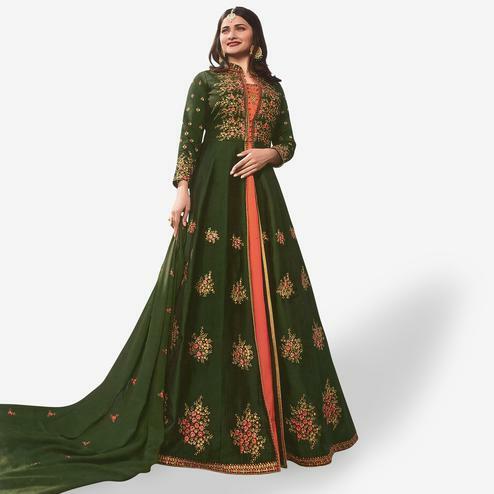 Precise attractiveness comes out of your dressing style and design with this turquoise green anarkali style suit finished with handwork & digital prints. 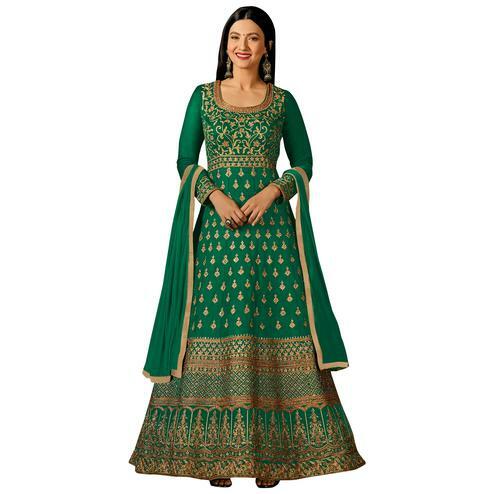 You can wear this outfit for parties receptions & functions where you want to be the centre of attraction. 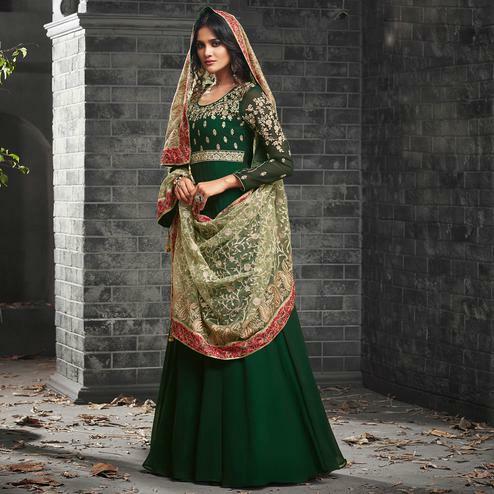 This outfit consists of bhagalpuri silk top raw silk inner santoon bottom & net dupatta. 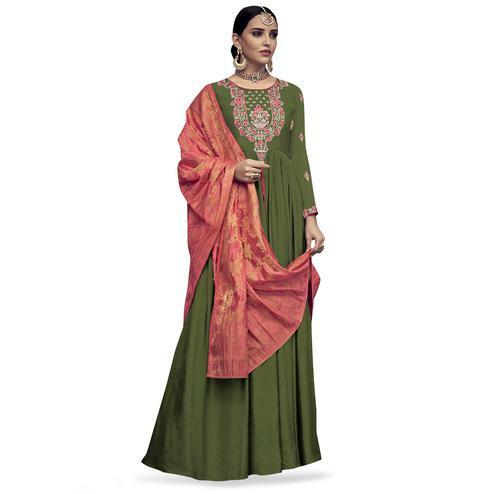 Length chest upto 40 inches and length upto 48 - 50 inches.